I have this book from Netgalley and am super excited to start it! I always love reading books that take place in my hometown! It has such a potential to be its own character in the story. Dream Eater by K. Bird Lincoln is available in ebook and paperback today, April 4, 2017, from Amazon, Barnes and Noble, iTunes, Kobo, and World Weaver Press, and for wholesale through Ingram. 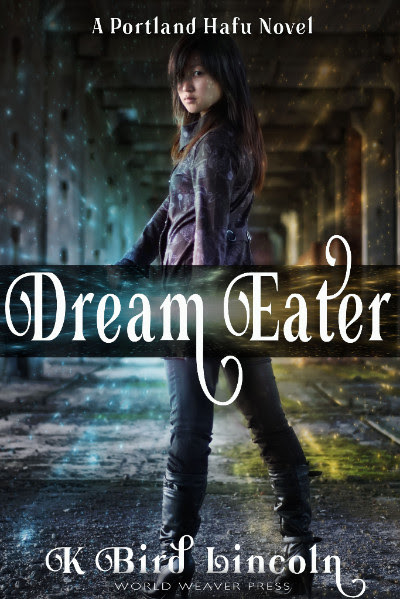 Dream Eater is the first in a new urban fantasy series about a half-Japanese college student who discovers her mythological parentage.